UPDATE: The City Council on Feb. 20 voted unanimously to approve the purchase. Fayetteville’s mountain biking infrastructure could soon get a serious shot in the arm. City Council members next week will consider a proposal to accept a grant and loan from the Walton Family Foundation as part of a plan to acquire 228 acres in west Fayetteville for future development of a new single track trail system to serve the region’s growing mountain biking community, as well as local hikers and trail runners. 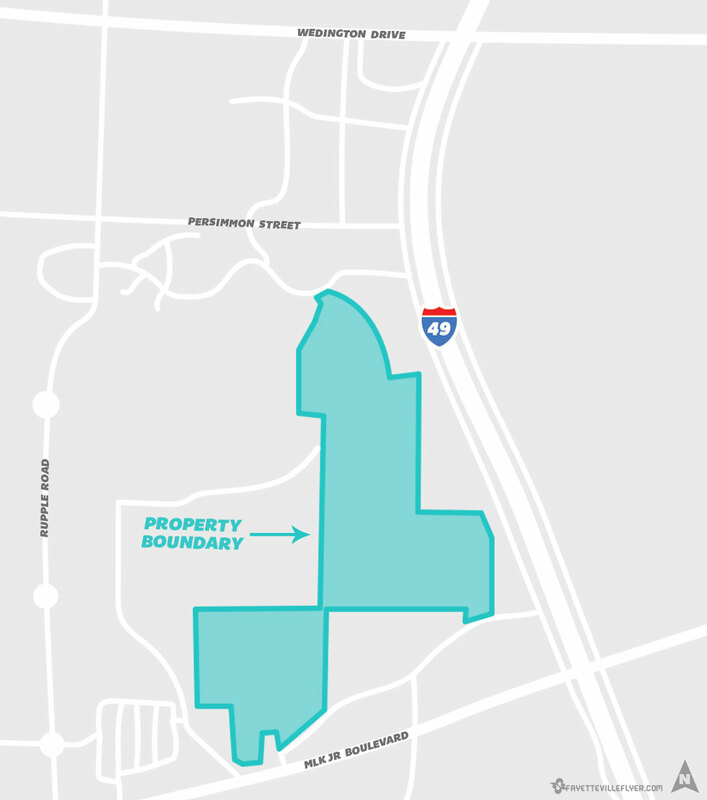 The property, known as Millsaps Mountain or Mountain Ranch, is adjacent to Interstate 49 between Wedington Drive and MLK Jr. Boulevard, and is owned by Centennial Bank. 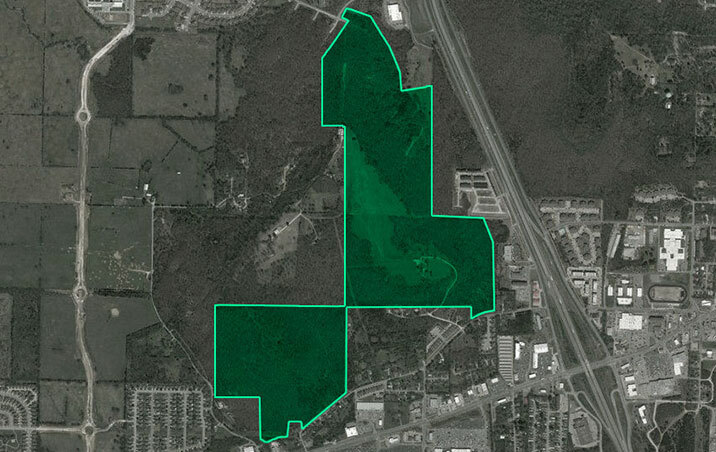 The land sits just a few miles north of the Kessler Mountain Regional Park and across I-49 from Markham Hill. There are currently no active uses on the land. If approved, the city would enter a contract with Centennial Bank to purchase the property for $3,302,250. A 50-50 matching grant and interest-free investment loan from the Walton Family Foundation would pay for the purchase. As part of the agreement, the foundation would front the money for the entire purchase and the city would pay its half back to the foundation in equal installments of $275,187.50 for the next five years. The city would also commit to maintenance of the property and any future trails on the land, as well as agree to amend the master trails plan to incorporate a future Razorback Greenway trail linkage to the site. 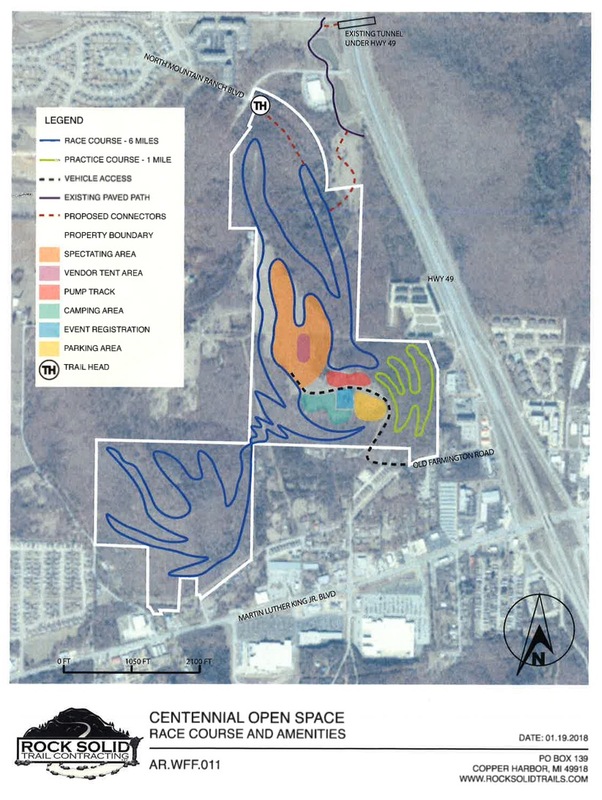 Devin Howland, the city’s director of economic vitality, the foundation has already funded a master plan for future trail development on the property that envisions a unique aspect that would set Fayetteville apart from other nearby cities with mountain bike trails. If built as envisioned, the trails could be used not only for recreation, but also for programmed racing events. Aside from economic development and recreation, the proposal packet notes that the purchase would have numerous environmental benefits, including preservation of over 200 acres of trees in the Illinois River Watershed and Hillside-Hilltop Overlay District. Also, Howland said, the proximity of the property to the Boys and Girls Club and Owl Creek School provides an opportunity to expand the “Bikes in Schools” program and host National Interscholastic Cycling Association events. Ward 4 council member John La Tour said Tuesday he’s a little concerned about the agreement’s requirement that the property be preserved in perpetuity, but said the price could be too good to pass up. “This is a sweet deal for the city of Fayetteville,” La Tour said. Despite the area’s vast amount of bicycling infrastructure, city staff said there’s plenty of room for growth. Citing recent research commissioned by the Walton Family Foundation, the proposal states that Fayetteville’s bicycling participation rate “well exceeded” the United States benchmark of 29 percent, and is higher than the rate of the overall Northwest Arkansas region. Those findings, Howland said, also indicated that the availability of paved and natural surface trails have become a key factor that is considered when residents and skilled workers decide where to live. The study, Howland said, found that 43 percent of NWA residents are willing to pay more each year to live close to bicycle facilities and 55 percent of skilled workers indicated a willingness to pay more for proximity to bicycling infrastructure. Regionally, half of the businesses surveyed said bicycle facilities had a positive impact on their business and that they received economic benefit due to cycling tourism. The City Council will consider the proposal at the next regular meeting on Feb. 20 in room 219 of City Hall.